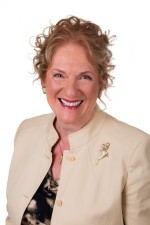 I was a speaker recently at the Biz Brigade, an event sponsored by Dorothy Briggs, publisher of Womanition Magazine. There were over 200 women at the event, all because Dorothy is continuously refining her collaboration model for event planning. It was profitable for everyone in the room because of the educational content – four panels on four topics: Plan Your Business, Grow Your Business, Grow Yourself and The Power of Mentorship. Speakers are local entrepreneurs or women who have products or services to sell. Each one is provided with a display table in the exhibit area, and selling from the stage is not allowed! The content of their presentations is educational only. This alone is a bonus for attendees. 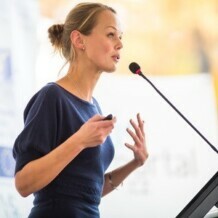 Presenters are responsible to bring people to the event, either through buying gift tickets for clients and friends or through paying participants who were referred by the presenter. Each speaker also has a table in the exhibit area and is required to provide a valuable draw prize – something that the winner can take home and use immediately, not just a coupon or a free consultation. Women love winning prizes. Only those ballots where a request has been made for further contact are kept and followed up by the exhibitors. All others are destroyed after the draw is made. Speakers may or may not receive their own ticket as compensation for speaking, but may pay for their own tickets anyway as a sign of their appreciation for being put in front of an audience like this. With 20 speakers altogether, and the publisher promoting as well, that resulted in 240 paid registrants at this latest event. Each speaker then, is front of over 200 participants, over 90% of whom were brought there by someone else! Speaking in front of an audience of individuals who fit your Ideal Client Profile is likely the most powerful thing you can do as a business owner. It builds credibility faster than virtually any other single activity in your marketing strategy, save perhaps appearing on Oprah or being featured in an article in a major newspaper or magazine. And collaboration can make any speaking event a bigger, better, more profitable way for all involved to benefit. Please email me with other ideas you’ve used to collaborate for bigger results. I’m always curious about how things work for you.